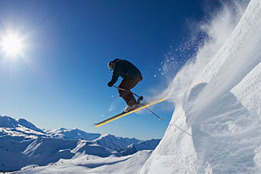 Whistler is the biggest ski area in North America. No matter what level you can ski or snowboard Whistler will have something to challenge even the most experienced of skiers. At Ski Solutions we have some amazing deals on your ski holiday for 2015/16. We can offer up to 50% off your room of on selected hotles on your ski holiday.